Silva discovered the pyramid while fishing on his yacht in the area. He discovered the structure through bathymetric navigation and its tip is submerged around 40ft. But for security reasons, the exact coordinates of the pyramid have not been released, and it is said that the navy has increased its patrols in the area to prevent possible intruders from exploring the area. Currently the Portuguese Hydrographic Institute, under the instruction of the Navy, is analyzing data to determine whether or not the structure is man-made. Experts say in-depth investigations are beginning to point to the possibility of an underwater volcanic hill based on more recent studies. It has also been predicted by analysts that there may be two other pyramids in the area, as images suggest there could be a design link to that of the pyramids built in Egypt. Local newspaper-Diário Insular has quoted Silva as saying that “the pyramid is perfectly shaped and apparently oriented by the cardinal points”. Silva believes that the pyramid may be a remnant of the legendary lost world of Atlantis, which sank into the ocean after a failed attempt to invade Athens. The legendary Atlantis was first mentioned by the Greek philosopher Plato in his dialogues: Timaeus and Critias. Written in c. 360 BC., according to Plato’s dialogues, Atlantis was a naval power lying “across the Pillars of Hercules”. It had conquered many parts of Western Europe and Africa 9,000 years before the time of the legendary Athenian lawgiver, Solon. After a failed attempt to invade Athens, Atlantis sank into the ocean in a single day and night of misfortune. The major task facing the team working to unravel the mystery about the structure is to determine whether the pyramid was built by a civilization, or if it was the result of natural occurrences. 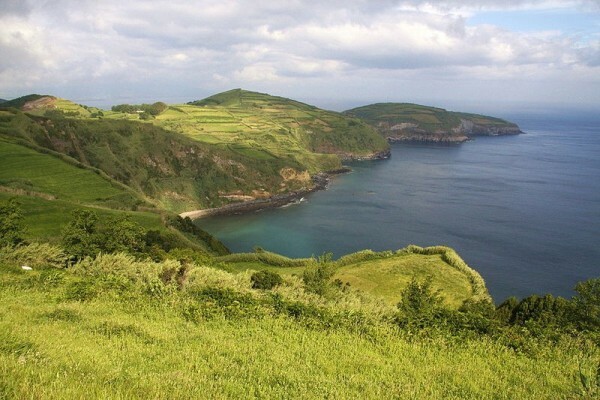 Not long ago, archeologists from the Portuguese Association of Archaeological Research (PAAR) discovered evidence on Pico Island, not far from where the pyramid was discovered, that suggests that humans had existed in the Azores region before the arrival of the Portuguese thousands of years ago. Based on this discovery by the PAAR, many believe that the pyramid could have been built by a different civilizations… long before the arrival of the Portuguese on the island.